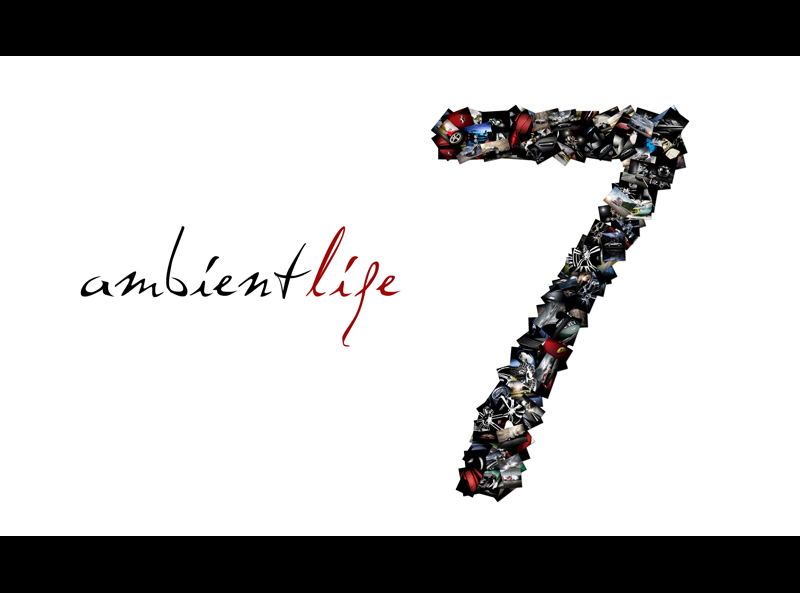 Tim Wallace: AmbientLife Celebrates an Amazing 7 Years! AmbientLife Celebrates an Amazing 7 Years! 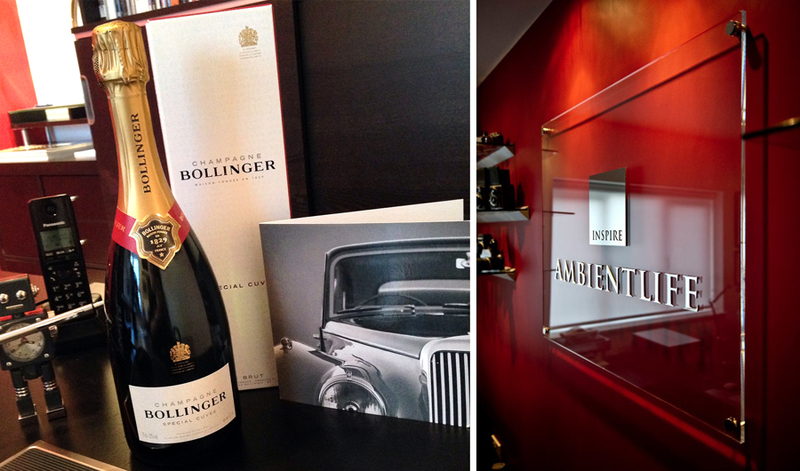 This month we are delighted to celebrate the 7th year for AmbientLife. 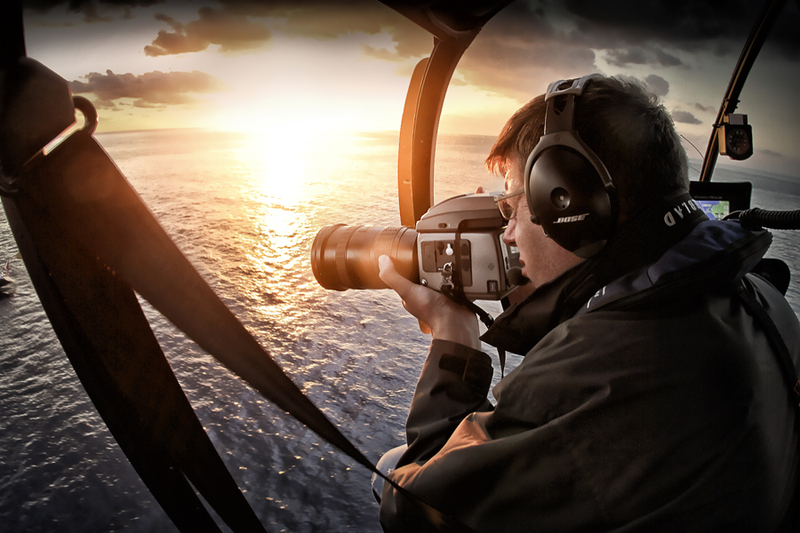 A company and concept that photographer Tim Wallace created and brought to life seven years ago. It had been an amazing journey so far with many editing projects and today we are very proud indeed to have worked with some of the Worlds most recognised brands and names within the industry as well as working alongside some fantastic clients. 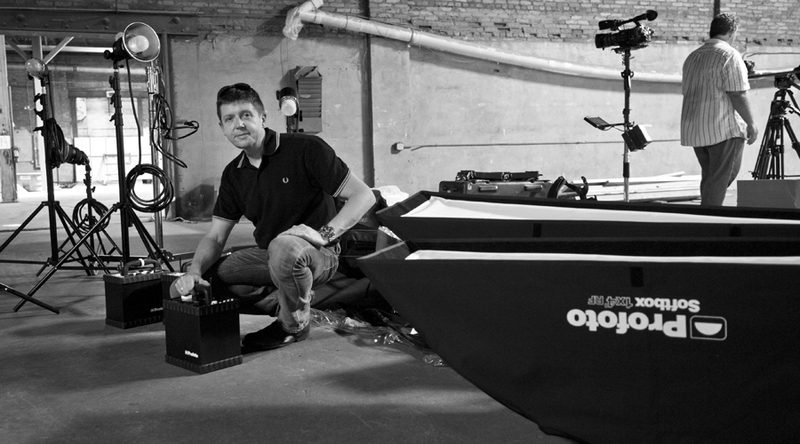 The last 7 years have also seen Tim engaging audiences both in the UK, Europe and the US with his seminars and live shoot events and in 2011 he became an instructor with KelbyOne in the US, going on to produce 9 in-depth training videos on his work, his methods and how he approaches the work that he produces from the standpoint of both lighting and style. It had been an amazing journey so far with many editing projects and today we are very proud indeed to have worked with some of the Worlds most recognised brands and names within the industry as well as working alongside some fantastic clients. 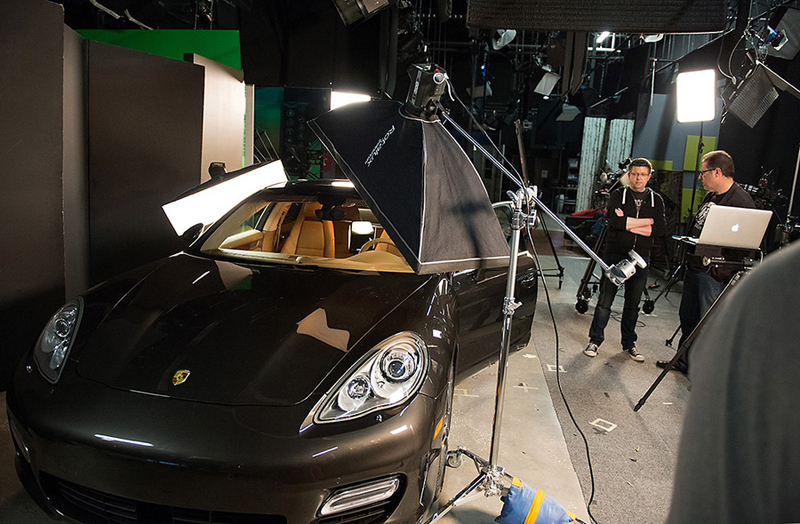 The last 7 years have also seen Tim engaging audiences both in the UK, Europe and the US with his seminars and live shoot events and in 2011 he became an instructor with KelbyOne in the US, going on to produce 9 in-depth training videos on his work, his methods and how he approaches the work that he produces from the standpoint of both lighting and style. 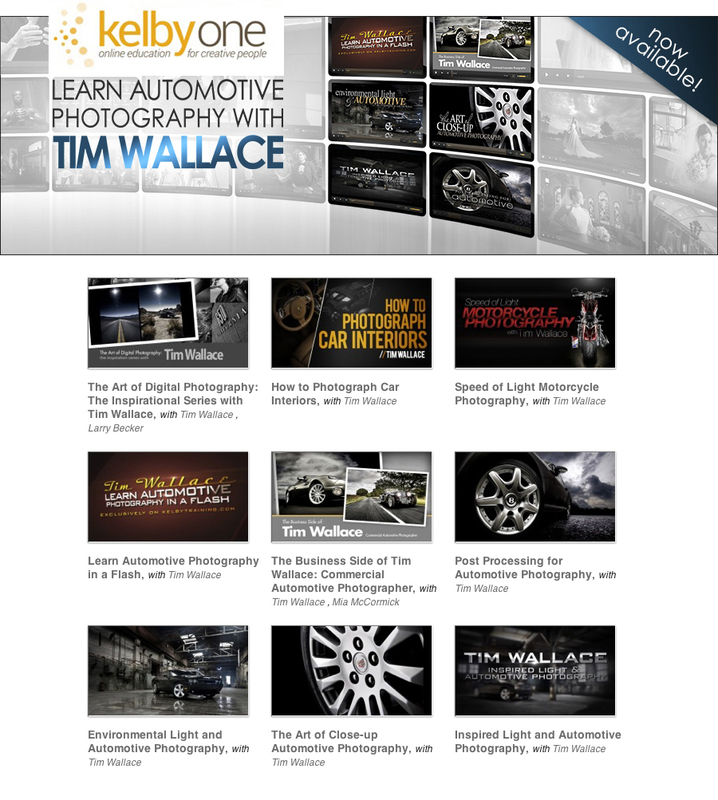 These have gone from strength to strength and in 2013 Tim also recorded 2 TV interviews in the US talking openly about both business and also his personal motivation and outlook on the industry and life from a personal perspective. None of this would have been possible at all without the amazing support of friends that in truth are to me the very very best, people that have stood next to me and supported me, people like Wayne Johns, Brian Braun, Scot Baston, Robert Larsson from Nikon in Sweden and so many others, and also some amazing people that I have met along this journey so far such as the guys at Kelby in the US, Scott Kelby , Adam Rohrmann to name but just a few. Years ago I ran away from home and lived on the streets of London for a while near Covent Garden, 15yrs old and full of drive with all I owned to me name in a small Adidas sports bag (I still have it) from there I joined the Daily Mail and worked in the Darkrooms, went on to be a photographer in London, worked in some Agencies then joined the Royal Marines. After that I went into Network and Media management for Orange and Virgin and after redundancy in 2006 I took my dreams and started 'AmbientLife. The last seven years have been a challenge thats is for sure, building a business up from the ground is never an easy task and in the middle of a worldwide recession makes it even more challenging but I have stayed firm in my beliefs for the direction that AmbientLife should take and as the years have unfolded the company, the work that we do and the quality of what we produce has taken the company into new area's and has pushed the boundaries further and further to allow more creativity and more depth to our work, this year I am striving to really push the business in 2014 to make this the best year ever! I can not thank enough the amazing people that I have worked with over the years and the amazing support and following that AmbientLife has achieved from a truly global audience, I am honoured and touched always by the feedback that I receive and the growing number of people and clients alike who say that they feel 'inspired' when they look at our work. 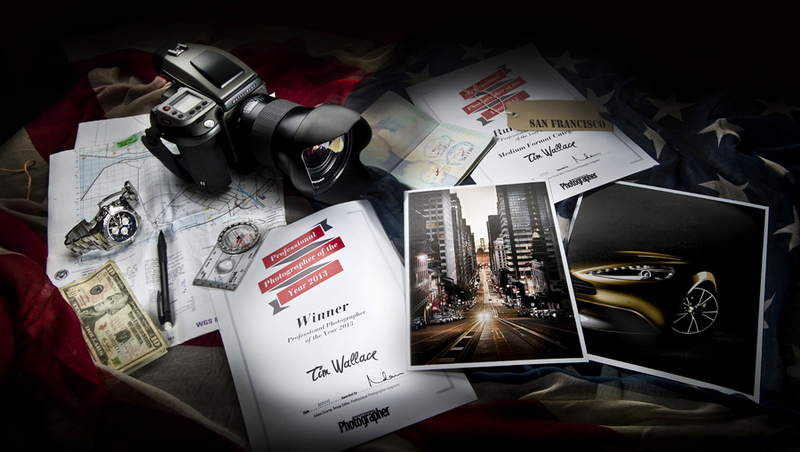 Tim works internationally with many high clients across the globe such as Jaguar Land Rover, Mercedes and Morgan as well as shooting some of the worlds most iconic brands such as Lamborghini, Aston Martin and Ferrari in the UK and Europe to Dodge, Chevrolet and Mustang in the US. 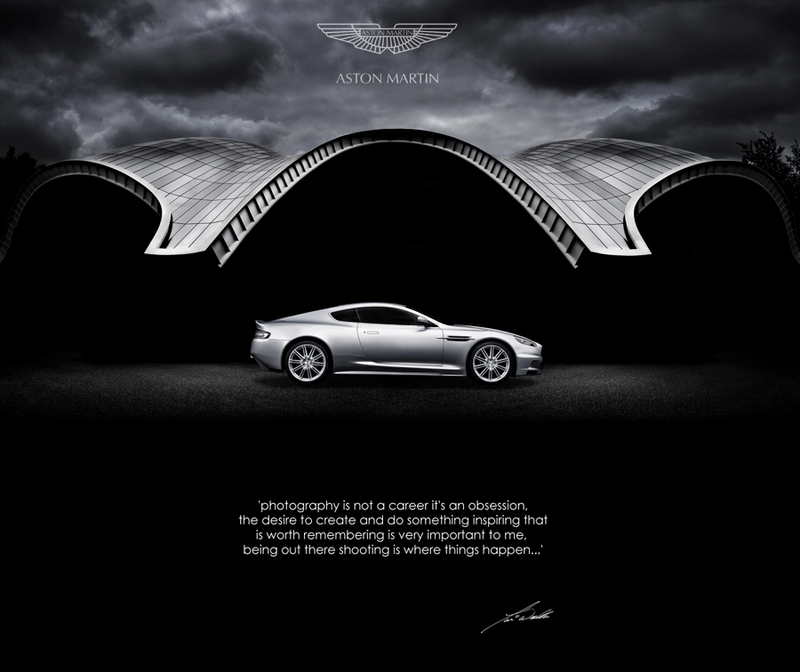 His work has been published globally and has been showcased in the infamous'Victor' Book, a industry Worldwide and highly acclaimed industry leading magazine. He was recently named by as one of the UK's most creative photographers whilst in the US Scott Kelby described Tim recently as one of the Ten most influential photographers in the World today, Tim's view is a little more straight forward, a man who's known for his down to earth attitude, his feet are firmly on the ground and his desire to produce creative work is one that he has been driven to from a very young age when he first picked up a camera, "Photography is for me simply a creative passion, the ability to use light and form to capture in a single image what I see in my own imagination…"
Over the recent years Ambient Life has continued to go from strength to strength. 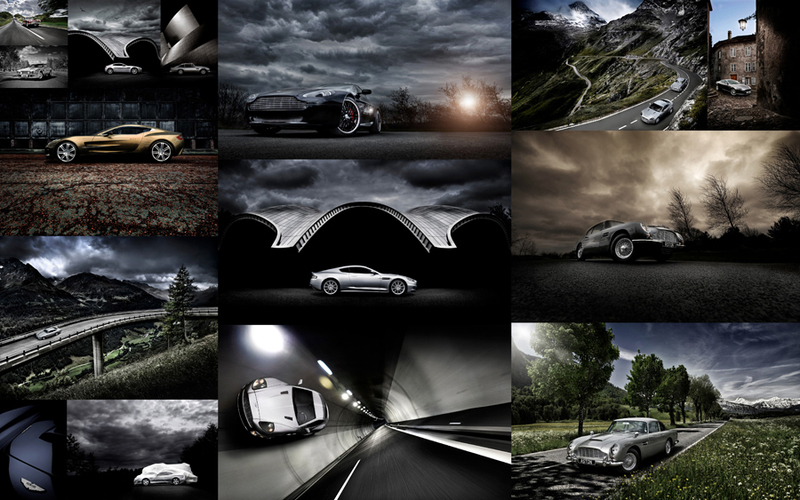 Scott Kelby (NAPP), featured our work recently and referred to it as 'some of the most inspirational automotive work to come out of the UK' and in 2011 Tim travelled to the US to film 4 one hour instructional classes for Kelby Training to join the ranks of Kelby instructor photographers around the world such as Joe McNally. Over recent years we have seen a very healthy growth in new clients, which we believe is testament to the quality of the work that we produce with virtually all our commissions being generated through referral and reputation, something that we feel is very important. We are lucky enough to work with some amazing people within the advertising industry and have been very fortunate to have taken part in some great projects over the last few years, it is always great to push the creative boundaries, look for new approaches and never be scared to try and look at a project or feature through new eyes as others may see it to allow you the opportunity to break away from the main stream and create something that hopefully becomes very memorable for both your clients and their own customers. 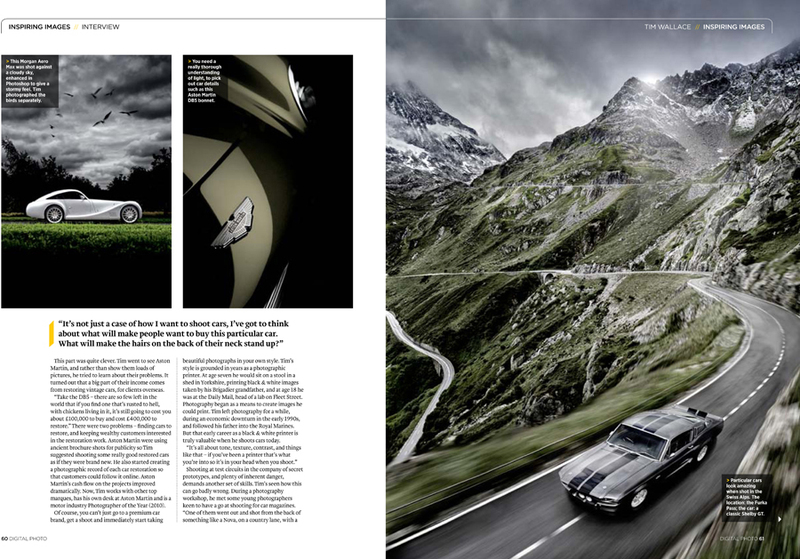 We have enjoyed many features in magazines around the world regarding our work and actively support the creative industry as a whole whilst also undertaking some exciting 'industry first' events working with some of our clients such as Jaguar, Land Rover, and Morgan to hold 'live shoot' car photography seminars at their UK headquarters. 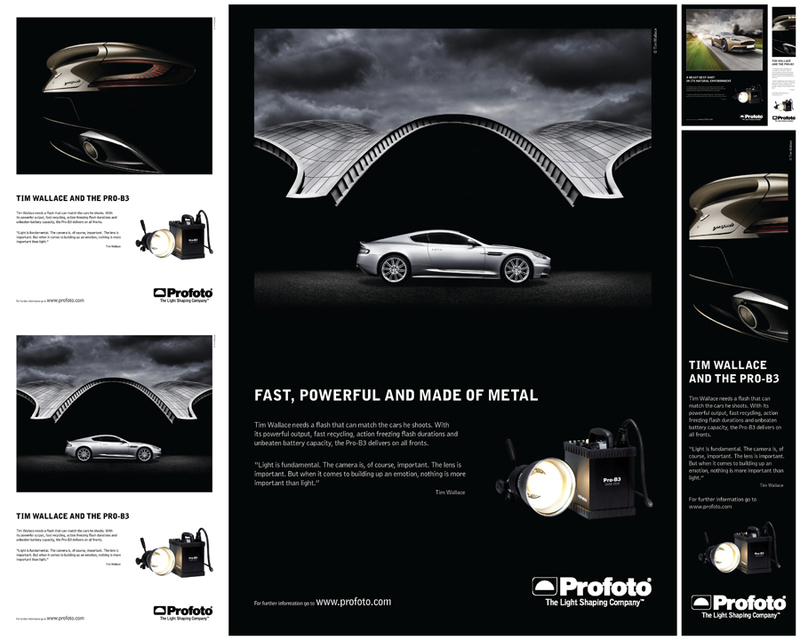 These seminars have proved to been extremely popular and have been a great success with support from the major equipment manufacturers as they get firmly behind our creative work including Hasselblad and Profoto.